Fabric Tunneling or Rolling when serged? Is your fabric being pulling into the feed dogs as you serge? Serging sheers and fine fabrics is a challenge, but it can be done. For finishing a rolled hem edge, or construction seams, on chiffon, lightweight knits, or slinky fabrics like lycra or spandex, rayon challis, sometimes the best trick is the tissue paper method. Dollartree Dollar Stores sell 24"x36" plain white tissue paper in packs of 50 sheets for $1.00 - this works well and is easy to get for for people. Place a piece of tissue paper under the fabric and on top of the fabric, matching edges and serge the paper on the seams, then tear off after serging. Having some nice serging tweezers handy helps removing any leftover "chads" of paper. 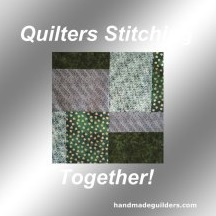 This technique is demonstrated in a sewing video from Professor Pincushion - but it works just as well for serging. 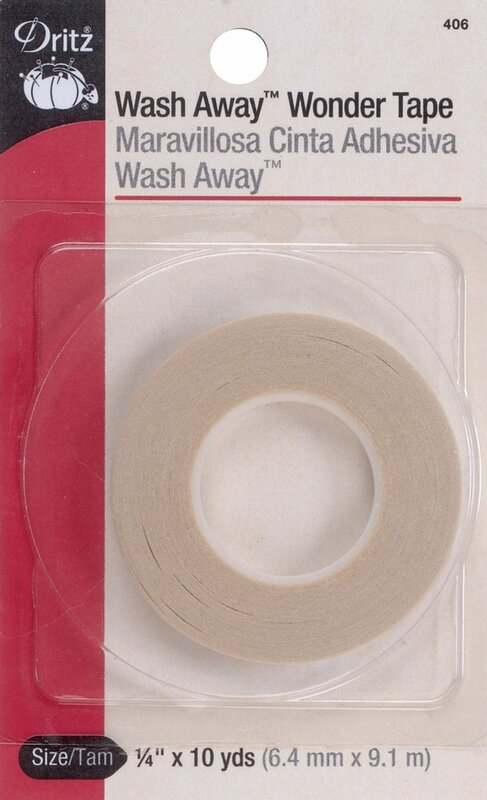 Washaway Wondertape - The 8th Wonder of the World. 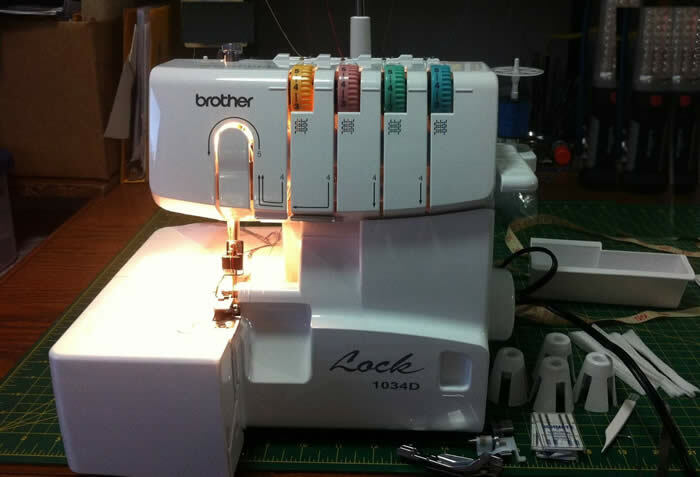 Starter Thread - why did my new serger come already threaded?